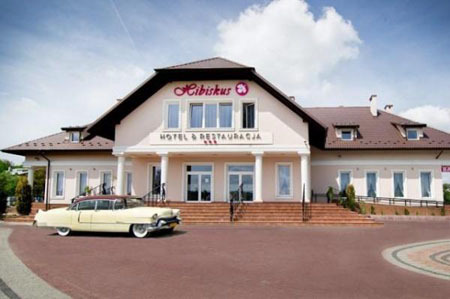 Hibiskus Hotel & Restaurant is ideally located directly at the national road No. 9, from Rzeszow to Barwinek (10 kilometers from Rzeszow). The hotel offers 44 beds in single, double, triple and quadruple rooms of a high standard, with full bathroom. We also have a restaurant and a ballroom that can accommodate 200 people. Rooms at the Hotel Hibiskus are always perfectly prepared to accept guests. All our rooms are equipped with LCD TV and telephone, as well as wireless internet. Front Desk is available to hotel guests 24 hours a day. 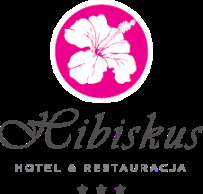 Hibiskus Restaurant serves especially delicious cuisine. Always fresh and delicious food is our calling card. Restaurant quickly became a recognizable place due to good food and a pleasant interior. We firmly believe that although the quality speaks for itself, we must continually improve it, not rest on our laurels. Away from the hustle and bustle of the city, Hotel Hibiskus offers a fully equipped conference room. Professional service and excellent restaurant offer a special experience at Hibiskus. To stay ahead of the expectations of our guests, the conference room equipped with a screen, flipchart and overhead projector. The entire hotel offers free high-speed wireless internet access. For longer meetings, we provide a wide range of refreshments during coffee breaks, lunches or dinners, ensuring fast and efficient catering.